According to a recent report in the Taiwanese computer industry journal DigiTimes, AMD is set to hit new lows in market share for its chips in Q1 2016. Unfortunately we are talking about a double-blow here, as industry sources indicate that market share for both AMD GPUs and processors (APUs and CPUs) has slipped during the current quarter - this is in an already shrinking market. Unnamed industry sources told DigiTimes that in terms of GPU sales AMD has been hurt by the lack of popularity of its own branded processors and Nvidia eating into its market share. Furthermore "In the PC processor market, AMD's gap behind Intel has widened." reported the journal. For many enthusiasts watching this market share decline it might be a case of 'same old, same old'. 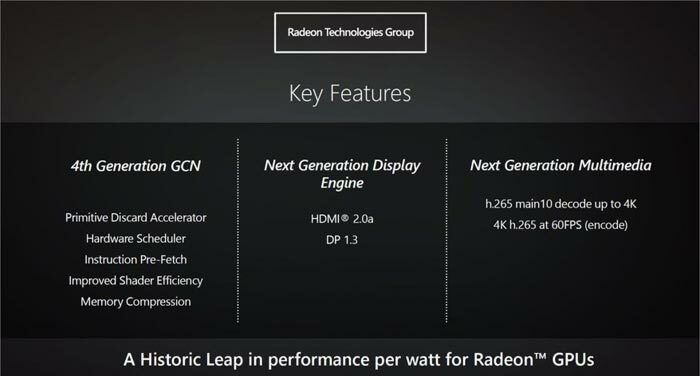 We all know that AMD has a lot of key advancements arriving this year to bolster both its GPU technology offerings (Polaris), plus new APUs and CPUs on the way (Zen based). With this in mind the industry insiders still glumly feel "it remains uncertain whether AMD's next-generation Zen architecture can help the company make a comeback." That's understandable as promises are easier to make than to keep. 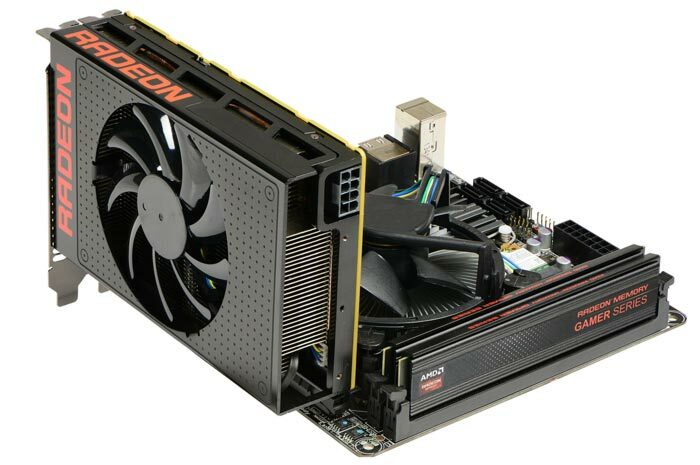 The Q1 2016 market share downturn for AMD in the GPU market is slightly surprising, as the last time we reported on market share comparisons AMD had enjoyed a bump in comparative demand; since then its Fury GPUs are readily available, it has initiated attractive price cuts, released good games bundles, and people are talking about current AMD GPUs' excellent DX12 performance. In better news for AMD the Polaris architecture chips are said to be "on schedule" according to industry sources. They felt that anything but a timely launch could impact AMD's chance for recovery. The first Zen processors are due a few months after the mid-year launch target of Polaris, probably debuting towards the end of the year. All of AMD's new flagship products are expected to be built using the 14nm LPP process. The main reason for the low sales is that many people just like my self are waiting for the new CPUs and GPUs from AMD,i see no point upgrading my R9 290 to a 390 series. Not surprising with the wait to the end of the year for Zen! The CPU market is completely stagnant at the moment, even for those with upgradeitus. We are waiting to see the next iteration of GPUs and to see the performance demands of VR, plus graphics cards seem to be at an all-time high in terms of price. Those not waiting for VR have mostly seen performance requirements plateau as the knock-on effect from the next-gen consoles has stabilised. When I look at hardware now, I can only think “meh” and I am running IVB cpus and 700-series GPUs still. I've put off buying a 380 waiting for the next gen. You'd need to be desperate to buy one now really. I'm sure things will pick up once the 400 series are out…. It's almost at the stage where I feel I should go out and buy something AMD as a charitable donation - though I doubt they make much money from a low end Kabini or Kaveri chip and I'm not sure I'm feeling that generous. I suspect in dollar terms they're still comparable, but the pound is currently in the tank - it's at a seven-year low. The kicker is that if you bought between 18 months and 2 1/2 years ago - a not unreasonable upgrade cycle for a gaming enthusiast - dollar-price-equivalent parts will cost 15% - 20% more in the UK. That's going to leave you with a reasonable chance of your new card, at the same price as your old card, having very similar performance: not what you're looking for in an upgrade. That said, I think the real market share problem for AMD is not with its higher end cards but with the key targets in the lower end of the market. The 750 & 750 Ti remain the best bus-powered cards available, and the GTX 950 is the best value option for 1080p gaming. AMD simply don't have current products to answer those two key volume-selling niches.